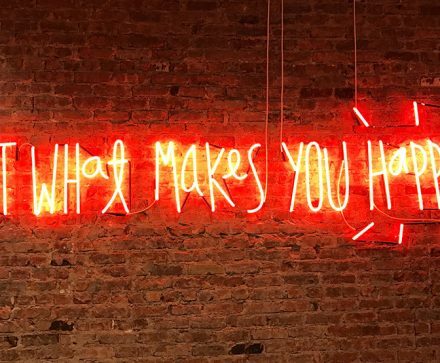 Let’s be honest, there is nothing more effective or noticeable than custom neon signs and this is especially true when it comes to event signage. As you know, neon can be urban and feminine or classy and bold at the same time but either way, it works wonders at any type of event. But why are neon signs suddenly so popular? Well, neon was a pretty big deal in the 1980’s but as with any trend, it faded during the nineties and disappeared completely in the noughties. However, this “trend” is most certainly back and the nostalgic and bold nature of neon is now considered the best way to breathe life into the appearance of an event. If you want to go all out with first impressions, using neon lights on a 3D projection is a great way to welcome guests to an event. Neon is both warm and welcoming but just as importantly, it gives you an opportunity to set a suitable tone for the event. With this in mind, you might want to combine neon signs with 3D projection for a registration area or for somewhere less obvious – the cloakroom. Branding is important for the long term success of any event and neon logo signs are a great way to really drive home the message. In other words, you want attendees to know the name behind this event and people are more likely to notice and remember a neon logo. If you happen to choose a theme for the event, custom neon signs can accompany just about any idea or concept. That being said, there are many neon signs that can compliment a venue regardless of whatever theme you decide to implement. For example, neon trees or tropical foliage can provide a very natural yet urban background to the event. Needless to say, you can confine these signs to a specific room and tropical foliage is fun way to bring life to a cocktail bar should there be one. It should go without saying that the purpose of neon signs for events is mostly to do with appearance. In other words, neon signs look cool and can add a great deal of excitement or intrigue to the atmosphere. However, they also provide light and this makes them a fantastic asset when it comes to navigating corridors or between areas at the event. Also known as wall bulbs, these neon lights can also be arranged in such a way to form arrows or even spell out words. Either way, they can give some real flavour to the appearance and help guests navigate the event at the same time. For many event organizers, neon spotlights are reflect for light up tables at an event. On the other hand, this can also seem like overkill and somewhat distasteful to other organizers. Taking this into account, creating neon vase lights is a subtle way to infuse colour and create a classy centre piece for the tables. As you know, selfies are still in fashion and neon lights are the perfect excuse for guests to fire up their social media. With this in mind, neon props can nurture a great sense of interaction between guests and the actual venue. It’s important to use bright colours for these props to make them stand out a little more than usual but prompts should also be used to encourage guests to use them. That is to say, you should also add social media cues which should be enough encouragement for these guests to get tagging on Facebook, Twitter and Instagram. If you’re like me, you think that hashtags are an incredible phenomenon and merely necessary for the sake of grabbing attention. Well, this is probably true but hashtags are still crucial for spreading word about events and initiating conversations on social media. For this reason, consider having a large custom neon sign with a hashtag for the event. If you hang this somewhere prominent at the event, guests are likely to take photographs with the sign but at the very least, they will know which hashtag to use with the rest of their photographs. Photo booths are increasingly popular at weeding and engagement parties for good reason – people love them. 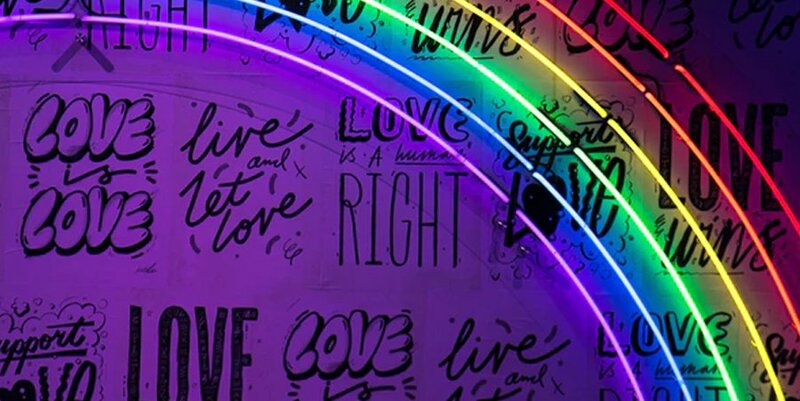 Whether you opt for a theme or not, these booths can feature a range of custom neon signs such as chandeliers, graffiti or a city scape background. Needless to say, not only do they give guests an excuse to take a photograph but they also give you an opportunity to frame the image and information in these pictures. For example, when creating the theme for this booth, you can strategically place the event logo or hashtag in the background to ensure more exposure. The truth is, many of the best event signage ideas are incredibly simple and affordable. In fact, using string lights is one of the easiest ways to get creative with neon lights. In case you might be asking yourself, this is simply a collection of neon lights tied together and the flexibility of string makes it easy to present these neon lights in artistic shapes. As you can imagine, this is also a great wat to decorate any trees that might be on location and you can even use these strong arrangements to light walkways at the event. Custom neon signs stand out more than any other option and this is always enticing to advertisers or event sponsors. In this instance, you can use neon signs to create shapes, letters or logos for the sponsors and show off their brand to those attending the event. If you have photographs of other examples, this can be a very effective way to present a unique opportunity to potential sponsors. Light projectors can take neon signs for events to the next level in a sense that can be used to create any type of shape, colour or pattern. Now, this may or may not fit in with your branding but colours can always be toned down to suit the environment. What’s more, these projections can move which can often influence and add to the ambiance at an event. The bar is one of the most important focal points at an event and somewhere that organizers want to nurture an especially vibrant atmosphere. Neon lights are an obvious choice in this respect and it’s usually possible to get away with almost any prop or design. That being said, try to be memorable for all the right reasons and avoid making it so bright that guests are too distracted to talk to each other. As you can see, there are many ways to integrate custom neon signs into an event and with the 1980’s firmly in the past, it might even be safe enough to suggest that neon signs are here to stay!